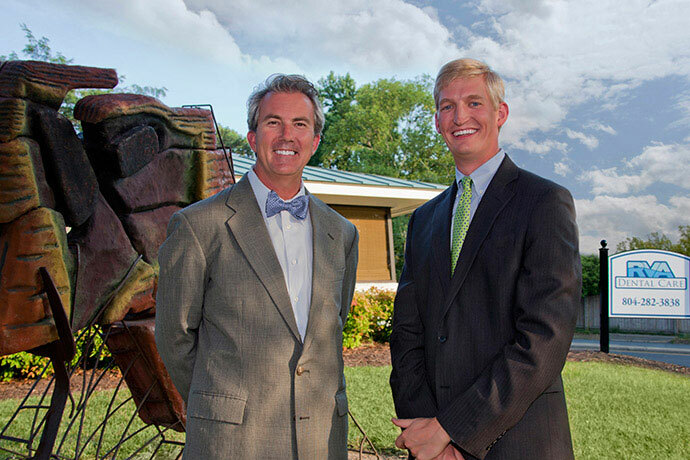 Dr. Jeffrey Friend, Dr. Patrick Lawrence and Dr. Christopher Collie are Central Virginia dentists who offer patients in the Richmond Metro and Chesapeake Bay areas the best in comprehensive dental care. Focusing on cosmetic and reconstructive procedures, Drs. Friend, Lawrence and Collie make their patients feel at ease while they're building beautiful smiles. With convenient appointment times as early at 7AM and as late as 6PM, and a team focused on providing an exceptional experience for each individual, RVA Dental Care is your home for all things dental.